As one of the most popular franchises in the world today, there is no doubt that Marvel Comics characters have taken over the entertainment landscape. For instance, Disney’s Marvel Cinematic Universe is the most successful film franchise of all-time and the X-Men and Spider-Man movies have also been powerhouses. On top of Marvel characters dominating the big screen, loads of TV shows featuring them have hit the airwaves. As is the case with most entertainment options, there is no denying that the shows based on Marvel Comics character over the years have been a mixed bag, to say the least. For instance, Netflix’s Daredevil is a stellar show that has to keep going but Inhumans couldn’t have ended soon enough. However, there have been some big Marvel TV show mistakes, including series that are over but should have kept going, and others that have gone on too long. Not all Marvel Comics shows do justice to their source material. For this list, we examined all shows based on Marvel Comics properties. We did not consider any short series, which means that any show that couldn’t air in at least a half hour time slot was not in the running. On top of that, we sought out Marvel shows that came to an end prior to all their potential being tapped or a series that are still running but need to come to an end for some reason. Here are 17 Marvel TV Shows Canceled Too Soon (And 3 That Need To Go). Far too many people allowed their affection for Wesley Snipe’s Blade movies keep them away from this show, since he wasn’t involved in it. While that is an understandable position as the show’s version of the character never lived up to Snipe’s, he was still decent and the show had lots of other highlights. Canceled after a single thirteen episode season in 2006, during its short time on the air, Blade: The Series introduced several new concepts to the main character’s story that fans wanted more from. For instance, Krista Starr’s quest to avenge her brother and fight off her vampiric side was interesting and the introduction of “ash” could have inspired years of storyline fodder. One of those shows that aired several seasons but somehow managed to fly under fans’ radars, Mutant X was hampered by the fact that it was the subject of several lawsuits. 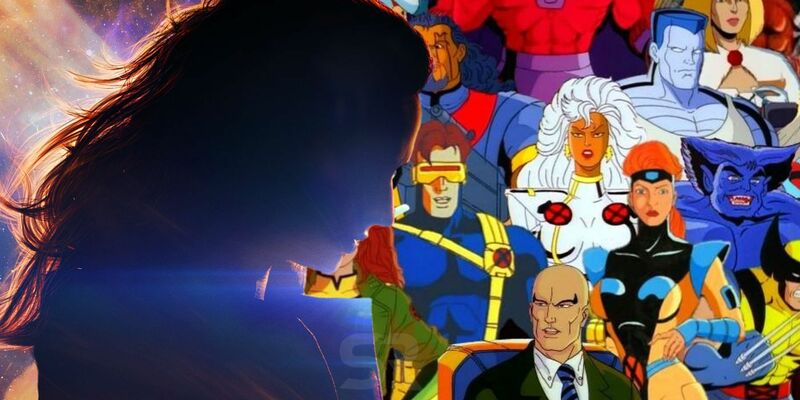 Highly in contention since Fox felt it was too much like the X-Men, which it owned the movie and TV rights to, the show was forced to undergo several last-minute changes. We can’t blame Fox since the show focused on a group of new mutants who were given powers via genetic engineering. Some of them formed a team that sought to find and protect people like them. If that doesn’t remind you of the X-Men, then nothing will. Canceled after one of its production companies went out of business, Mutant X ended with an unresolved cliffhanger, which is reason enough to wish it had kept going. Commonly referred to as Spider-Man: The Animated Series, you may also know this series simply by the name of the hero it focused on. 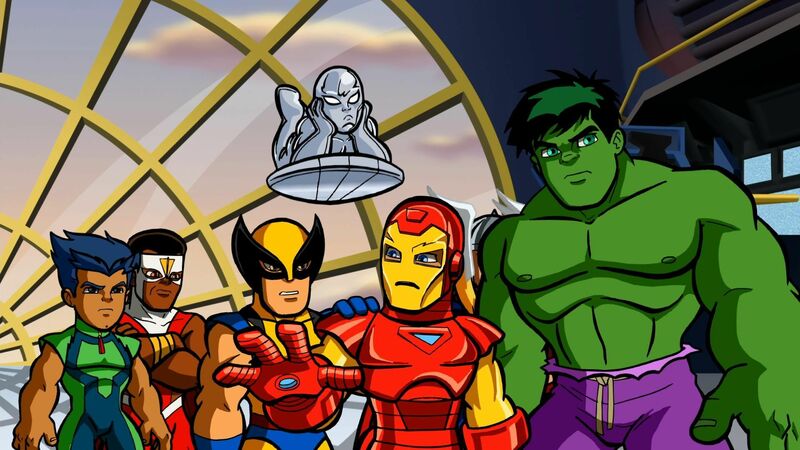 If you are a Marvel fan that grew up in the ’90s, there is a very good chance that watching this animated series jump-started your love for superheroes and all things related to them. Straddling the line between being family-friendly enough to air on Saturday morning while also tackling some pretty dark storylines, it pushed the boundaries of cartoons. Tackling virtually every character that has had a major impact on Spidey in the comics, this show did a great job with all of them. Its five-season run may seem like a long time, but each season was short. 65 episodes is not enough for us. Agents of S.H.I.E.L.D. has introduced many likable characters to its dedicated viewers. Two examples of that, Adrianne Palicki’s Bobbi Morse and Nick Blood’s Lance Hunter, were entertaining enough that they were chosen to get their own spin-off series, Marvel’s Most Wanted. Initially written out of Agents of S.H.I.E.L.D. halfway through that show’s third season, Bobbi and Lance bidding farewell to their friends was one of the most emotional moments in that series’ history. Then their promised spin-off was shelved, seemingly forever. It would have been great to have at least seen the pilot. Even if it was subpar, they could have started from scratch and reshot it. 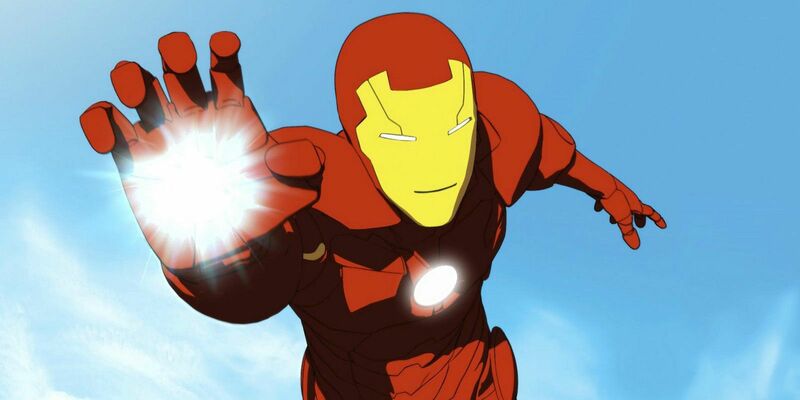 Developed by celebrated comic book writers Christopher Yost and Craig Kyle, among others, Iron Man: Armored Adventures should have achieved success. On top of that pedigree, the series was gorgeously animated, even if it took some viewers a little while to get used to its 3D CGI style look. Similar to a lot of the shows that are canceled too soon, Iron Man: Armored Adventures had a disappointing pilot episode. On top of making a bad first impression on viewers, the decision to mess with Tony’s origin by having him become Iron Man as a teenager also turned a lot of people off. However, if more people had given it a real chance, they would see that Tony’s young age opened up a lot of storytelling possibilities. The show deserved better than its 2012 cancelation. 15 Needs To Go: Agents of S.H.I.E.L.D. 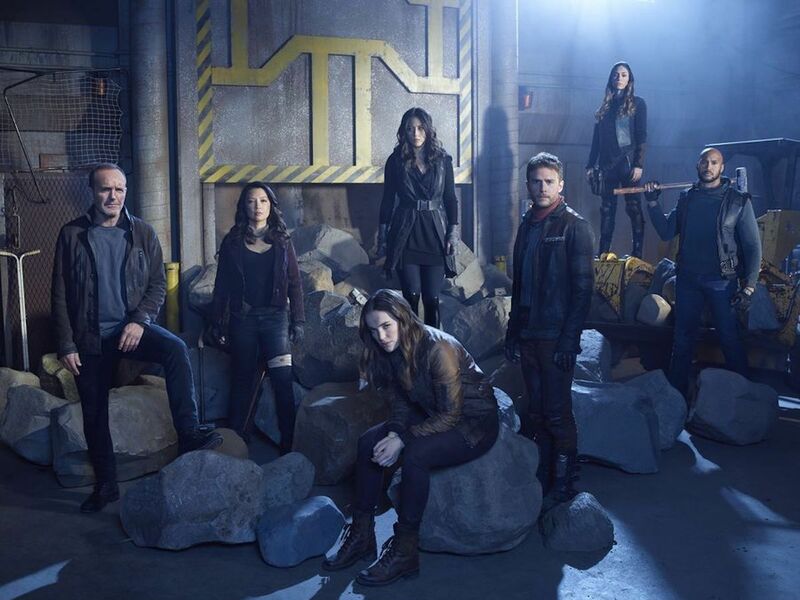 Agents of S.H.I.E.L.D.’s first season had a slow start, but once the Hydra twist was revealed, the show really took off. However, as time has gone on, the show’s disconnect from the movies it ostensibly shares a universe with has become more glaring. With its short sixth season premiering in the summer of 2019, it’s surely time for the longest-running MCU series to wind down. If the show ended right, now the ending would be satisfying. 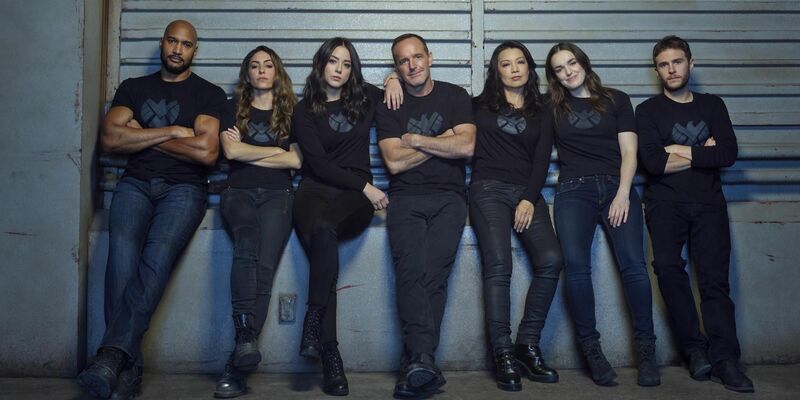 After all, Coulson and May have a chance at enjoying some peaceful last days, Fitz and Simmons are married and know they will remain together, and Skye is coming into her own as an agent. 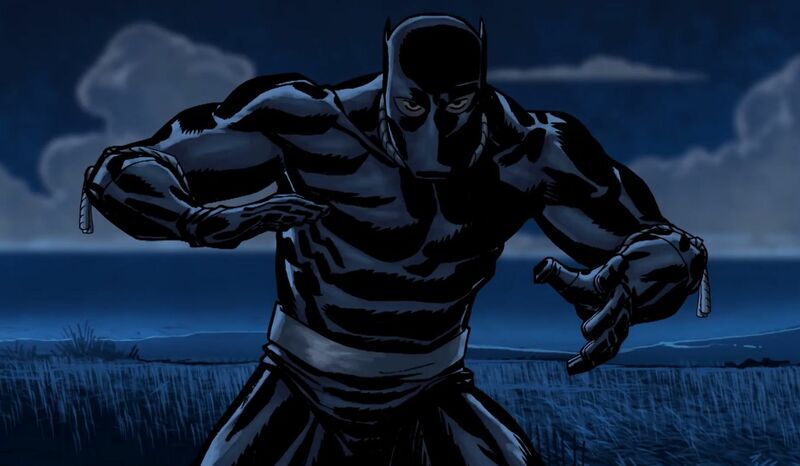 The television equivalent of giving a severely hungry person a single bite of a cracker to eat, getting to watch this animated Black Panther show almost seems like some kind of sick joke. After all, the series featured some marvellous storytelling and its motion comic style helps it to stand out from among the other superhero animated shows. With that in mind, the fact they only produced six episodes of this promising show is incredibly disappointing. This is a series you can binge in the same amount of time that it takes to watch a movie. Once you’ve seen all this show has to offer, it is a slap in the face that it was discontinued so quickly. Doing something that very few shows inspired by comics ever have, X-Men: Evolution introduced X-23, a character who has gone on to be hugely popular in the books. If that weren’t impressive enough, X-Men: Evolution also managed to make the story of Charles Xavier and his team of heroic mutants more accessible to younger audiences. Largely taking place in a Xavier’s Academy that is more like a typical high school, most of the core team members are teens and they definitely act their age. It was canceled after a four-season run in 2003,. The final two episodes focused on villains and heroes teaming up to take out the threat of Apocalypse. The show clearly could have adapted other X-related stories and fans wanted to watch them. Initially released by Image Comics, Powers eventually became one of two series that put Marvel’s imprint Icon Comics on the map. The show focused on a pair of detectives who are charged with investigating crimes that involve people with powers. One of the most interesting aspects of the show was that the main character, Christian Walker (played by Sharlto Copley), used to be a powerful superhero, but lost his abilities. Aired on the PlayStation Network, the series lasted two seasons of twenty episodes total before it came to an end in 2016. It’s real shame since the show had built up an interesting world and strong performances. It may have had an inconsistent start, but Powers had greatly improved and put an interesting twist on the superhero genre. 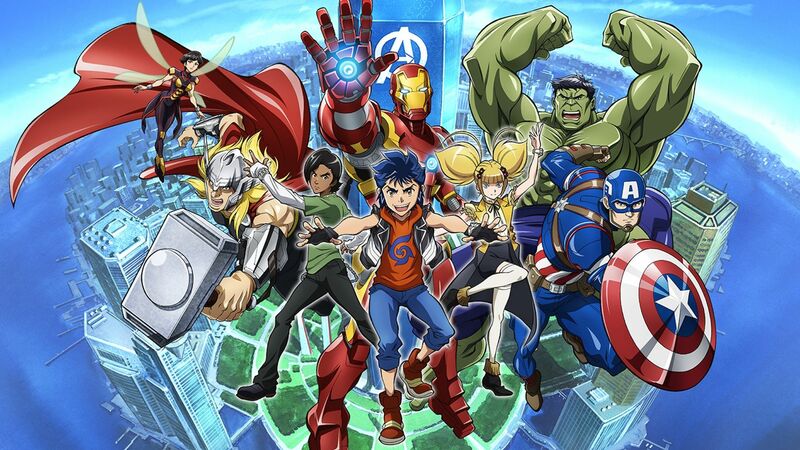 A part of Marvel’s current crop of anime TV shows, Future Avengers looks fantastic, but it just does not live up to our expectations. The show focuses on a superpowered boy named Makoto. He and a small group of other youngsters become apprentices to the Avengers. Blessed with a solid core concept, it disappoints us greatly to say that we just can’t muster the energy to be excited about this series. For that reason, it would make a lot more sense to cancel Future Avengers and start up a new Marvel anime series, or at least provide an English dub instead of leaving many people to read subtitles. Created to air on Disney XD, The Avengers: Earth’s Mightiest Heroes lasted only 52 episodes, which is nowhere near enough. Starting out with Iron Man, Giant Man, Hulk, Thor, and the Wasp as the team, its lineup mirrored the original Avengers members from the comic books. True to the comics, it also didn’t take long for the likes of Captain America, Black Panther, and Hawkeye to become members. 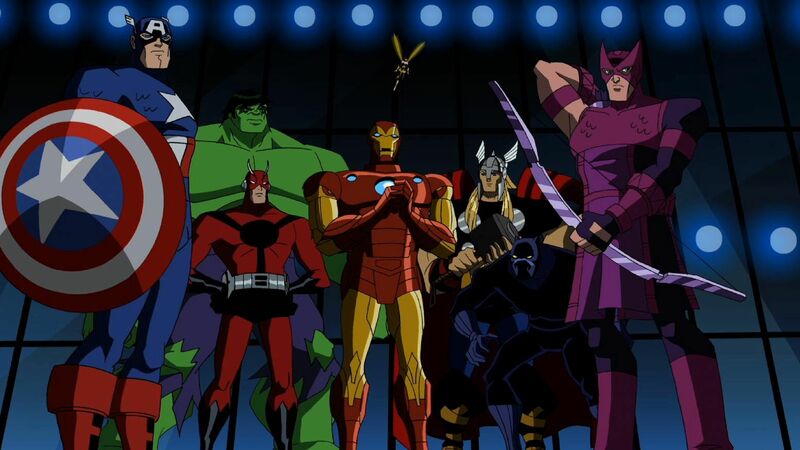 In fact, it is incredible how many Avengers members, villains, and supporting characters became a part of the show. On top of that, many of the best Avengers storylines of all time were also adapted for this series. For all of those reasons, that fact that an animated show that is such a perfect adaptation ended so early is downright frustrating. The fact that millions of fans can still hum along with this show’s instrumental opening decades after it stopped airing says it all. 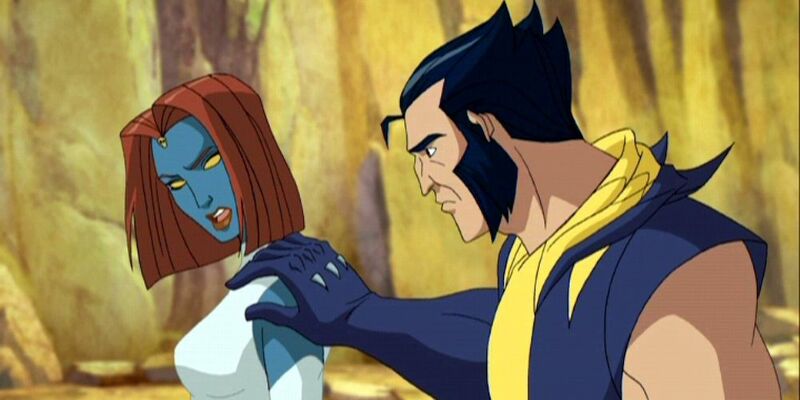 On top of the awesome theme song, this series also managed to be mostly family-friendly while featuring the mature themes, dark moments, and cultural commentary the X-Men comics are known for. Unfortunately, when the fifth season began airing it was impossible to ignore that the show had suddenly taken a drastic downturn in quality. 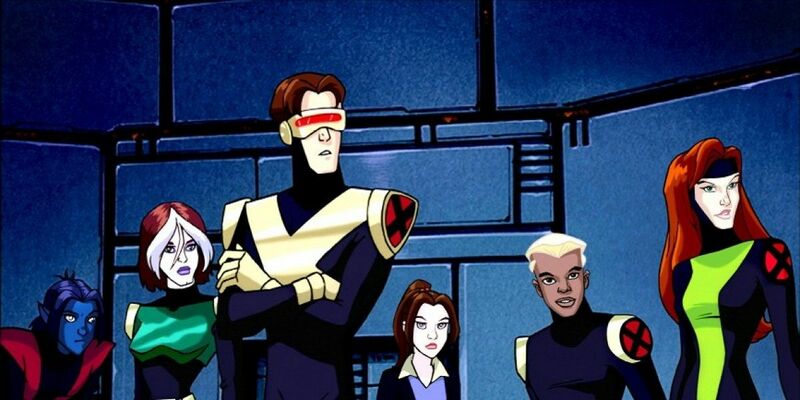 It was a far cry from how fans wanted X-Men: The Animated Series to stop. They should have fixed the issues and allowed it to end on better terms. Definitely among the most talked about celebrities in the world these days, over the last several years, Donald Glover has been so awesome that it truly does seem like he can do anything. Despite that, in March of 2018, it was announced that the Deadpool animated series he had agreed to be the showrunner for was canceled even before it was produced. It’s a decision that makes no sense to virtually anyone. 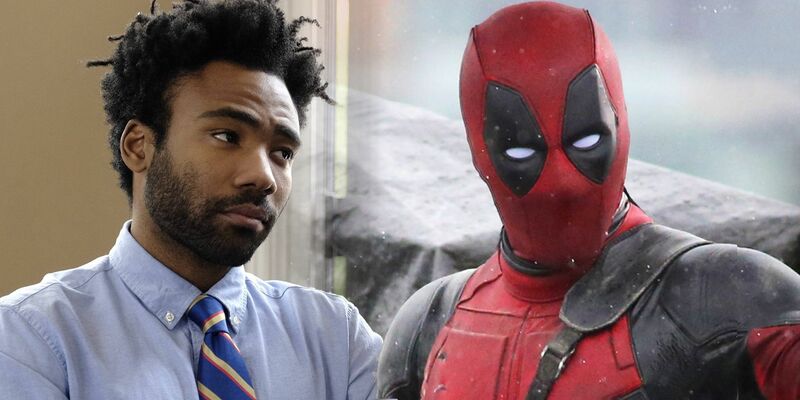 Even Deadpool co-creator Rob Liefeld said about the canceled series “I mourn the loss of that entire project.. Making things even more disappointing, Glover uploaded a script he co-wrote for the show to Twitter and it nailed the character. It was funny and meaningful, too. The Super Hero Squad Show never was intended to push any envelopes. Instead, the main reason why the show appealed to adults is that it was perfect for parents who wanted to share their love of all things Marvel with their still young children. Focused on a team of superheroes named Squadie, who take on the least intimidating version of Marvel supervillains out there, the antics of Doctor Doom and his cohorts will leave youngsters in stitches. Canceled after two seasons, its original audience has outgrown the Squadies by now. However, new episodes would be bound to draw in a whole new generation of kids, if given the chance. Let us get this straight, the Marvel Netflix shows set up The Defenders to be the ultimate team-up series and they put an end to it. That is the equivalent of the film side of the Marvel Cinematic Universe deciding to stop making Avengers movies. 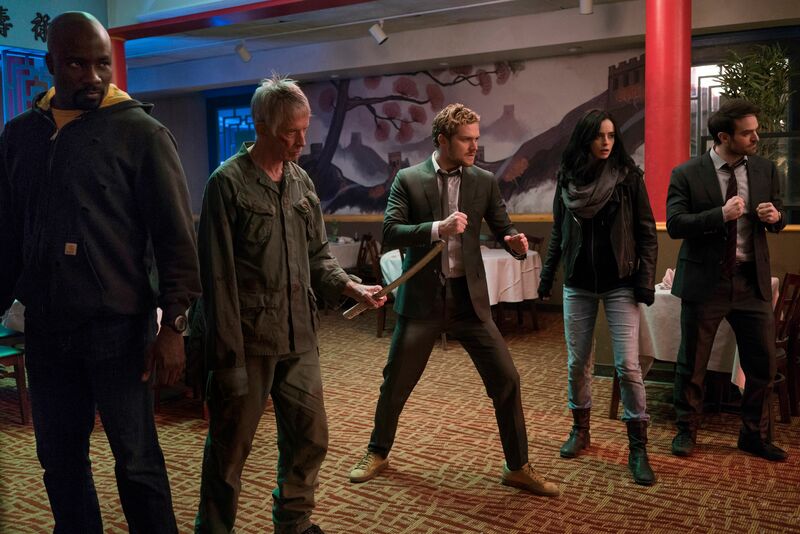 When fans were disappointed by the first season of Iron Fist, they still felt like watching it was worth it so they were all caught up for when The Defenders was released. For that reason, this show made watching every other Marvel Netflix show better. Even when you take away all of the implications it had on the rest of the franchise, the first season of The Defenders was good enough to be continued on its own merits. 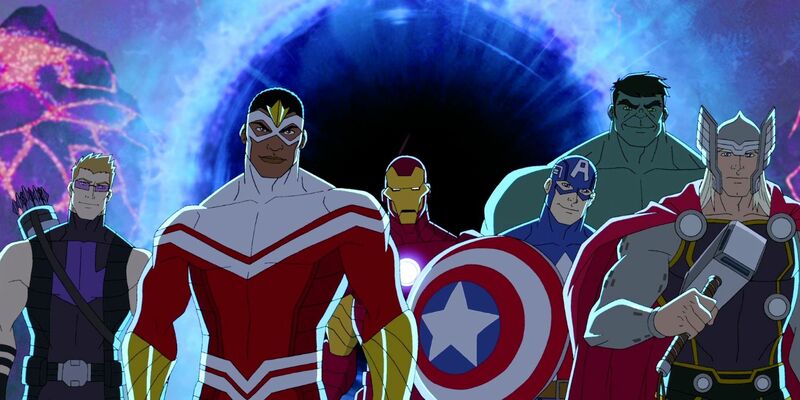 When The Avengers: Earth’s Mightiest Heroes was canceled and this far less interesting series took its place, it was a huge disappointment for many Marvel fans. Despite being much more one-dimensional than its predecessor, that has not stopped Avengers Assemble from lasting an impressive five seasons so far. Its tone and marketing are very much tied to The Avengers live-action movie from 2012. Considering how poorly it compares to the show that came before it, however, it only is reasonable to think that its cancellation could free up space for a far superior Avengers animated show. Five seasons is more than enough of Avengers Assemble. 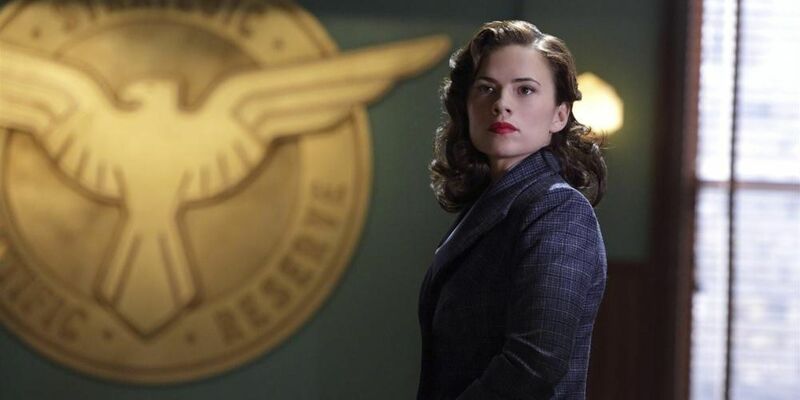 Peggy Carter wasn’t satisfied with being one of the few MCU supporting characters to get her own show after appearing on the big screen. Instead, after the first season of her show aired, she appeared in Avengers: Age of Ultron and Ant-Man, on top of Captain America: Civil War featuring her funeral. It’s a huge indication of just how important this character is to the history of the MCU. Hayley Atwell has done a fantastic job every time she plays the character, but she truly outdid herself in Agent Carter. Fans got to see her struggle against sexism and prove herself to be highly capable while carrying herself with the utmost dignity. 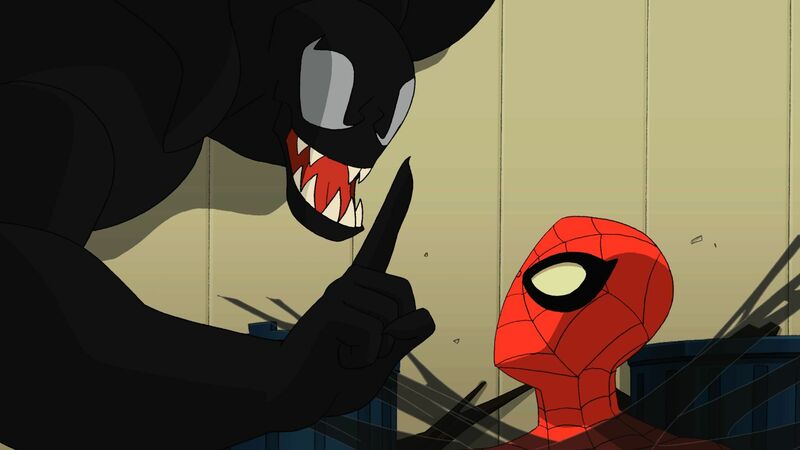 Considered to be the best Spider-Man TV series of all-time by a lot of people, The Spectacular Spider-Man only lasted for two seasons, but its demise had nothing to do with how it was performing. Well-received by critics and fans alike, if that weren’t enough of a reason for it to last, then its solid ratings should have been. Unfortunately for fans of the series, however, it then came out that Sony had made the surprise decision to give up all television rights to Spidey and his supporting cast to Disney. 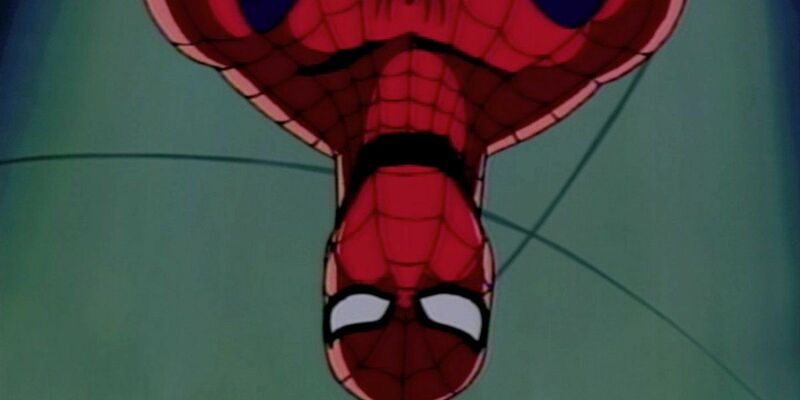 The nail in the coffin of The Spectacular Spider-Man was that once Disney had the TV rights to the character, every show related to him was canceled in order to create a series that could air on Disney XD. Even if the rest of Luke Cage was awful, we would support the show returning strictly based on how fantastic its music was in the first two seasons. 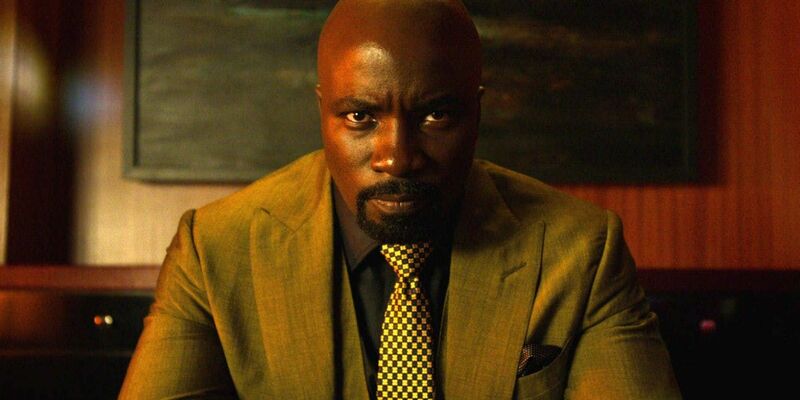 Of course, if you have ever watched the show then you likely realize this series has a lot more than that going for it, including the stellar performance of its star, Mike Colter. On top of that, Mariah Dillard is one of the best villains in the MCU, Shades is intimidating at one moment and relatable in the next, and Misty Knight is awesome enough to star in a show of her own. The cancellation of Iron Fist opened up the possibility of this show becoming about the Heroes for Hire but then they foolishly put an end to Luke Cage too. Proof positive that X-Men related cartoons are likely to make for good TV, this is yet another series in the franchise that we wanted more of. Clearly designed to appeal to adult audiences as much as younger viewers, Wolverine and the X-Men dropped you in the middle of the world it created and expected you to catch up. That may have turned off some viewers, but the series was totally worth the effort since it turned out to be so spectacular. There has yet to be an X-Men related series that understood the source material as well as this one did. Additionally, the final moments of the last episode revealed it was going to tackle one of the most popular X-Men storylines of all-time, the Age of Apocalypse. What Marvel TV show do you miss the most? Let us know in the comments!